WASHINGTON — Two ballet titans have scoured the country, from Nashville to New York to Miami, finding you the best ballet to watch this week here in D.C.
Misty Copeland and Justin Peck will curate “Ballet Across America” from Thursday through Sunday at the Kennedy Center Opera House, off the heels of a versatile opening ceremony on Monday night. Copeland will curate Wednesday, Thursday and Friday with a focus on diversity, including the all-African-American dance company The Black Iris Project performing “Madiba” by Jeremy McQueen. Copeland will also present Nashville Ballet’s “Concerto” by artistic director Paul Vasterling, and Complexions Contemporary Ballet’s “Star Dust” by Dwight Rhoden and Desmond Richardson. After that, Peck will curate Saturday and Sunday, following the theme of innovation. His program kicks off with L.A. Dance Project’s “Hearts and Arrows” by artistic director Benjamin Millepied. From there, Joffrey Ballet presents “Fool’s Paradise” by Christopher Wheeldon and Ashley Wheater. After that, Miami City Ballet’s Patricia Delgado and Jovani Furlan will perform “Lord Duet” from “Year of the Rabbit,” followed by Kyle Abraham’s “The Gettin,'” performed by Abraham.In.Motion. As resident choreographer at New York City Ballet, Peck has long admired the Kennedy Center. Copeland has her own history here, saluting Patricia McBride at the 2014 Kennedy Center Honors. Now, her rising fame has earned a unique celebrity status that has transcended the ballet world. Click here for details. 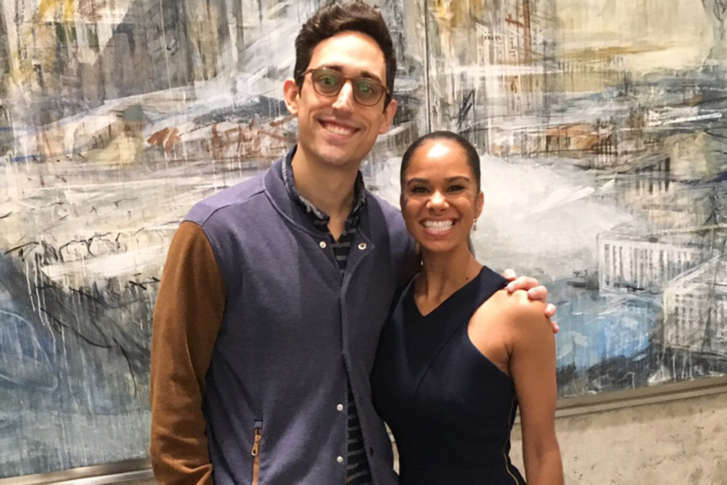 Watch our full video chat with Misty Copeland and Justin Peck at the top of this page.